What if I’ve already bought a backless booster seat? This is where things get slightly confusing. The Department for Transport says the new rules don’t mean hundreds of thousands of parents must rush out and buy high-backed booster seats. It is allowing children to use a backless booster seat that parents had bought before the rules were changed on 9 February. In other words, officials have banned the sale of new backless booster seats for children under 125cm in height or below 22kg since 9 February. Backless booster cushions are popular because they’re affordable, compact and portable, making them easy to switch from one car to another. What evidence is there that backless booster seats are unsafe? Crash test simulations performed by the makers of child car seats have highlighted the potential dangers of using backless boosters for kids, as reported in this blog post. Britax has been making car seats for children since the 1960s. It has released video footage of a laboratory test that examined how well a high-back booster seat protected a six-year old compared to a booster cushion. In the 42mph impact, the crash test dummy in the booster cushion isn’t properly restrained. This allows them to slip free and hit their head on the door. However, the dummy in the high-back seat is properly held by the seatbelts and sustains no injuries. 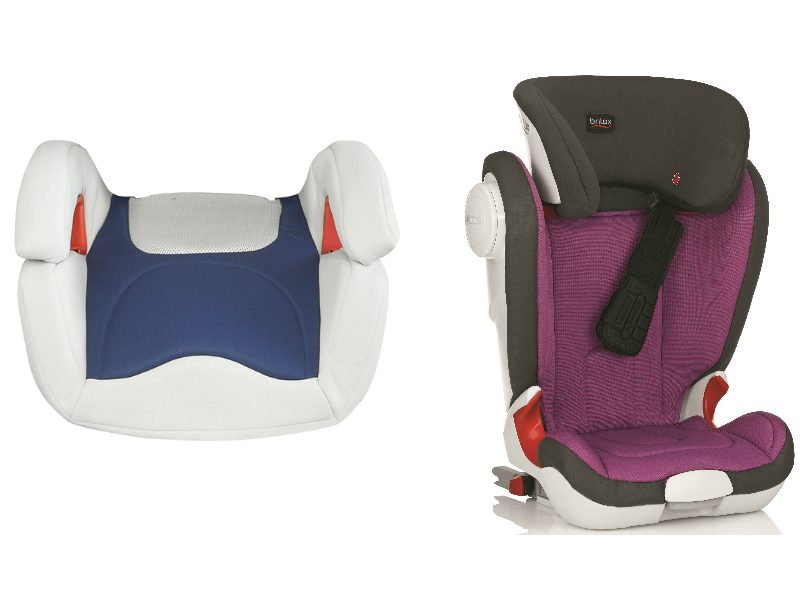 Which group of car seat is suitable for my child? Any child under 12-years old or less than 135cm tall (whichever comes first) must use a car seat when travelling in a vehicle. 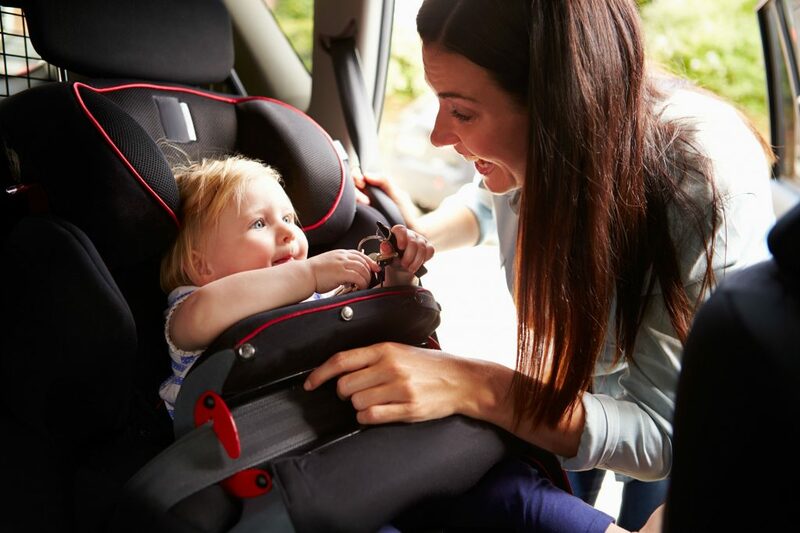 There are different categories to suit a child’s age, and increasingly, car seat manufacturers are able to offer products that will adapt to grow with a child over a good number of years. Babies should use a Group 0 or 0+ carrier. Group 0 carriers either allow babies up to 9kg to lie flat, or are a rear-facing carrier or seat. Group 0+ are rear-facing carriers or seats for babies up to 13kg. Group 1 seats are for children weighing between 9kg and 18kg, and can be rear- or forward-facing, using either a harness or what’s called a ‘safety shield’, effectively an energy-absorbing restraint. Both Group 2 and 3 seats span 15kg to 36kg. They can be rear- or forward-facing, and can be used with a harness, safety shield or seatbelt. Some experts recommend that all child car seats are fitted to a vehicle using Isofix anchor points. This is to remove the potential for incorrect installation using a seatbelt. So do kids under 12 and taller than 4ft 4 inch need a car seat??????????????? Hi Karina, the law says ‘whichever comes first’, so if a child was over 135cm tall but less than 12-years old, they could stop using the child seat. There’s now a link in the story, to the relevant section of the Highway Code, outlining child seat laws. Hope that helps put your mind at rest. How will this affect classic cars that have no rear seat belts, or older ones with no seatbelts at all? Could I take grandchildren to a car show for example? These cars are usually driven more carefully and not daily transport. you really should not take your grandkids out without suitable safe belts, you would never forgive yourself if there was an accident. .However carefully you drive does not mean you won t be involved in an accident that is somebody else s fault. Your insurance company would not look to kindly either. If it were my child I would not let you take them in a classic car with no seat belts or car seats. just because you might drive more carefully, does not stop someone crashing into you. This will help Andy, might not be the answer you we’re hoping for, but, it will clarify the law.